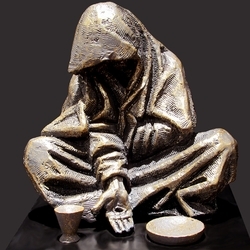 When I Was Hungry And Thirsty by Timothy P. Schmalz is a stunning and provocative Christian sculpture that would make a wonderful addition to any home decor setting. 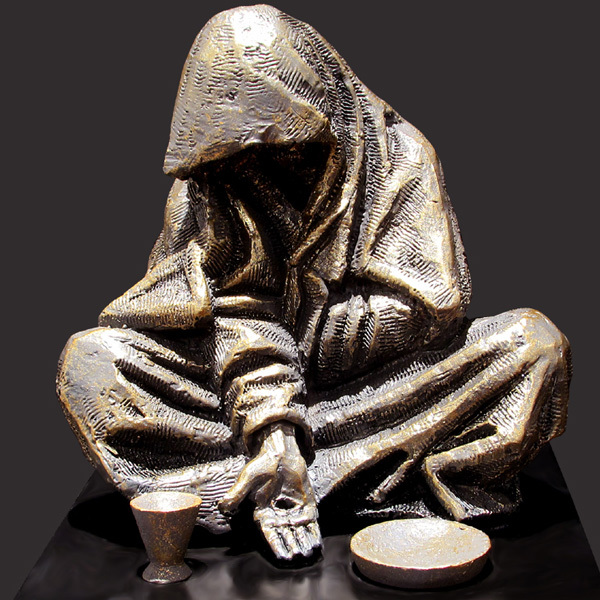 Inspired by the Gospel of Matthew 25:40, this sculpture is a visual representation of Charity. It tells us that we need to see Christ in the poor and the hungry and that we should see our acts of kindness to them as kindness to Him. This solid resin-stone cast is coated in a realistic bronze finish and is mounted on a solid matt black base. Timothy personally sculpts every original small masterpiece complete with his signature or monogram. Each replica is detailed by hand to the exacting standards of this modern day master sculptor.